Welcome to the Clique Kits November Pep Rally! You should have arrived here from Carolina, if not you can start the complete hop overhere at the Clique Kits blog. 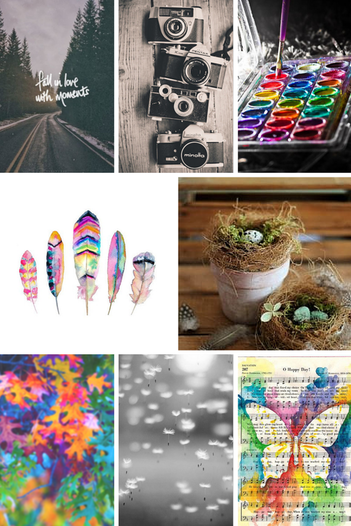 This month the challenge is to create something inspired by this mood board, which is a perfect match to the November Homecoming kit! I totally wanted to play with some watercolors, so I cut one of the cut files, Juliana from 17Turtles designed for this kit, on white cardstock and watercolored it. 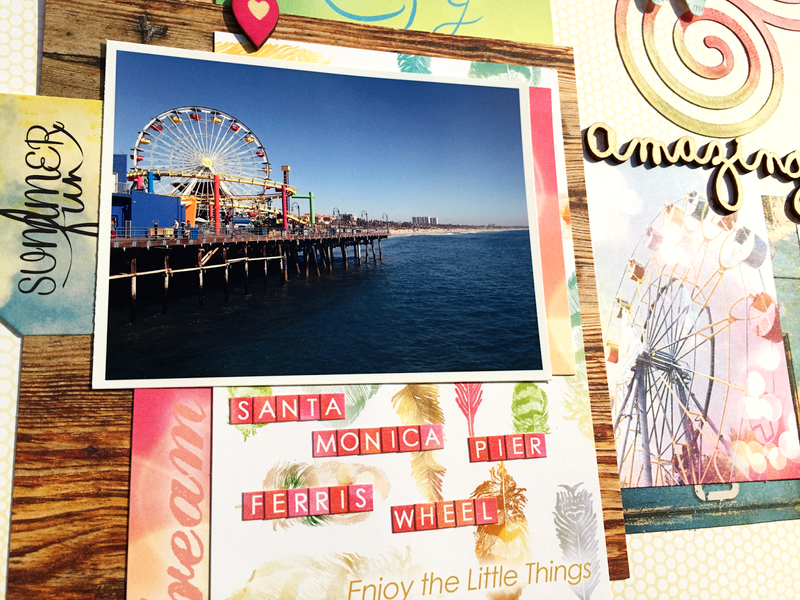 The picture I used was inspired by one of the Lemon Owl journaling cards that has a ferris wheel on it. I also used papers and the alphabet from Webster's Pages Nest collection. Of course I can't finish this post without some sneaks of the December Enchanted Meadow kit, I'm so excited about this one! I love that the monthly kits are not themed, especially for people like me who don't scrap a lot of Holiday pictures. And if you do want a themed kit, they are available as well! You can find a variety of Clique Holidays kits overhere in the store. Thanks for stopping by today, your next stop is Cassandra. Beautiful!! I love how you used the cut files! And those photos are fantastic!!! Great work! Fun layout. Love how you used the swirls! Love all the colors in your layout! I also LOVE the fact that Clique Kits aren't themed, they are good for every occasion!! Thanks for the lovely inspiration! I love your layering, and the way you placed the cut file in the upper corner. Very cool. This is another wonderful layout! I really love how you selected a photo and cut apart card from the kit that are of ferris wheels. And the watercolored die cut looks fantastic! Awesome! Beautiful layout Danielle! Love the photos on this one!! This layout is just beautiful. I also love the sneaks!!! Wow! Gorgeous layout. I love everything about it! 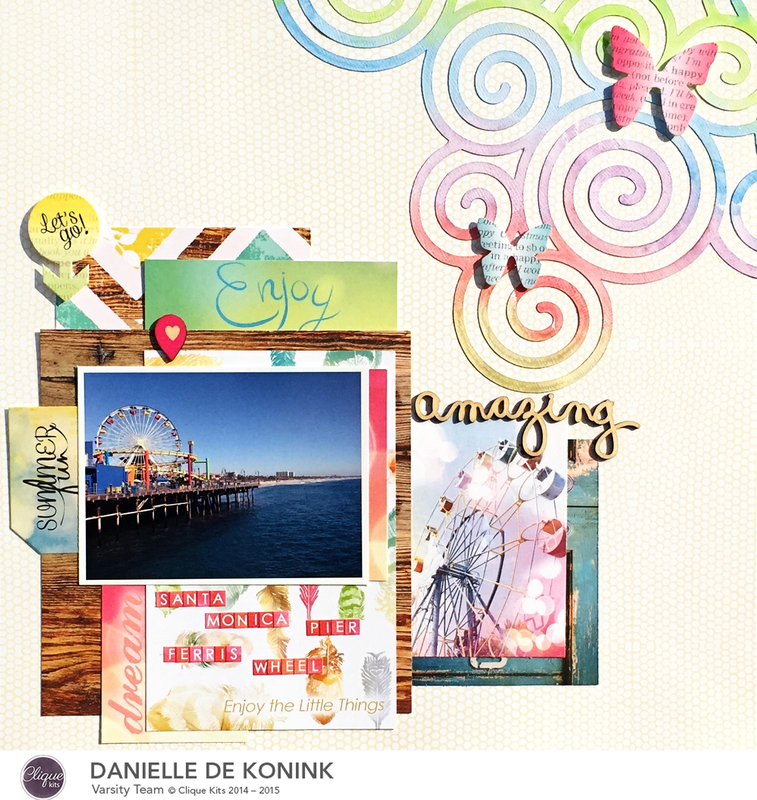 This is beautiful Danielle, love how you added watercolors to the cut file. Gorgeous layout and I love how you used my cut file!!! I love how you used the cutfile. That paper was perfect for it. Great layout!! You rocked that cut file, and your layering is stunning! 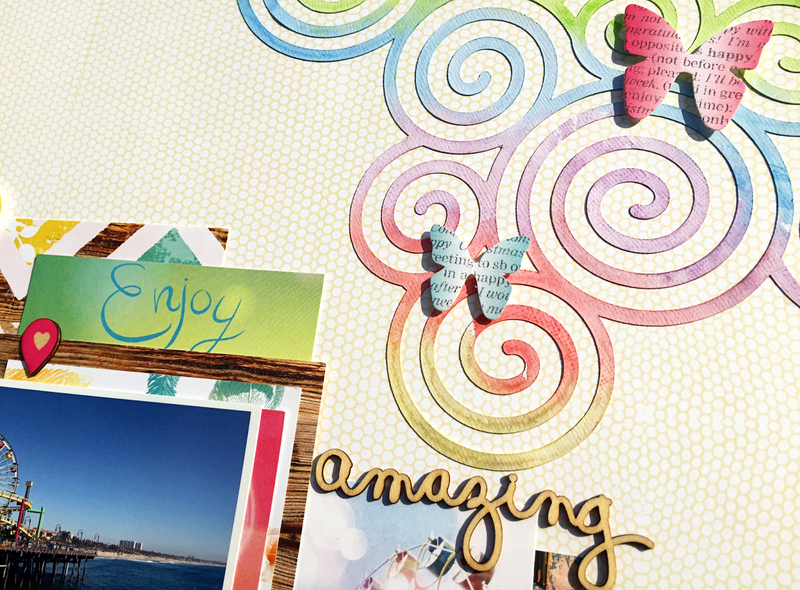 Gorgeous layout, Danielle! I SO Love the way you watercoloured that die cut! I definitely think I need that file! Awesome layout! this is great! i really love what you did with the cutfile and the watercolors - gorgeous! Really love your interpretation of the cut file Danielle! Awesome!